How much is Alex Chan Worth? 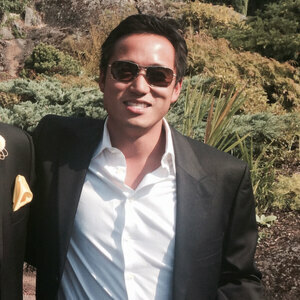 Alex Chan net worth: Alex Chan is a Canadian entrepreneur who has an estimated net worth of $10 million. Although his portfolio is as diverse as it is expansive, from media to hospitality, it is his involvement in the cult website Celebrity Net Worth that has made him an instantly recognisable name online. Born in Hong Kong, Alex has that rare but happy combination of creativity and technical ability, leading him to study engineering at the University of British Colombia. After successfully walking away with an Engineering degree, Alex immediately snagged a job as an engineer at Hutchison Telecom in Hong Kong, incidentally the world's first provider of 3G. But it wasn't long before Alex founded his first company, Green Grass Media, publisher of multiple lifestyle websites, and five years later sold for his first $1 Million. This was followed by several consultant roles: first at Great North Online Marketing, creating a banking platform that bridged the gap between freelancers and international banks, as well as developing multiple software for operating banks in the UK, US, Germany and Amsterdam; and secondly at Build For Search, once famously helping a website receive 1-million unique hits in a 24-hour window, as well as advising companies on the very latest trends in SEO. 2009 was a defining year for Alex's career, founding multiple companies, including umbrella firm Wellness Media Group. The company and its properties now have a full editorial staff, over 3-million followers and is often cited in the press as the go-to authority for facts and information. Alex's success hasn't been limited to online, either: he also owns multiple real estate investments, including two hugely successful restaurants, one of which is the renowned Bloor Street Warehouse in Toronto. Fast becoming the city's premium 'dive bar' just one year after opening. Most recently, Alex partnered with full-service digital marketing agency AntiSocial Media Solutions, joining a management team of industry professionals invested in technology and innovation. As one of the leading agencies of its kind in Vancouver, Canada, Alex helps some of the biggest brands in the city expand their online reach. Whether digital marketing or global acquisitions, Alex has spent the last decade developing his expertise and expanding his portfolio. And of course, he's constantly on the lookout for the next big thing in tech.